Liquid EPDM is the Only Solution. There is—literally—no other product that comes close to competing with Liquid Rubber and Liquid Roof. These products are real EPD rubber, but as a liquid. Easy to apply? Check. Immediately waterproof? Of course. Improve the appearance of your roofs overnight. It’s the best waterproofing solution on the market, provides a gas and vapor barrier, and can withstand temperatures ranges from -60° to 300° F.
Enjoy ozone and UV stability, a very strong resistance to salt water and acids, top notch corrosion protection on metals, easy repairs, a high dielectric value, and resistance to cathodic disbondment. Standard colors for Liquid EPDM are white, black and gray. However, you can customize your EPDM if you order more than 100 gallons. Don’t need that much? EPDM is simple to paint over—after it’s completely cured. Wait at least one month, assuming the outside temperatures are above 55° F. Wipe the coating first with mineral spirits and only use acrylic or polyurethane paints. Usually, sealants and caulks are used to waterproof certain areas around protrusions like vents and flashings. Liquid Rubber is an excellent tool to shield those caulks and sealants to further extend the life of your roof. You can extend the life of the sealants and your roof. Never worry about shrinkage, chalking, or peeling. Liquid Rubber only requires one application and is guaranteed to save you money and time. Stop replacing sealants. You can apply Liquid Rubber on top of concrete, fabric, foam, metal, rubber, and fiberglass. Liquid Rubber doesn’t work well with porous materials like concrete or masonry. It’s designed to conform to the material, and will soak into the surface. However, you can prep porous materials including brick, concrete and masonry. Paint the surface with a non-gloss paint or a primer, allow it to dry, and then apply Liquid Rubber. Liquid Rubber and Liquid Roof share the same makeup as sheet rubber. They’re identical in weathering, flexibility, and durability. However, Liquid Rubber never chalks like sheet rubber. If you’re dealing with chalking, this is a great fix. Due to the chemical similarities, there are some immediate—and temporary—aesthetic concerns. Liquid Rubber on top of sheet rubber will likely swell, bubble, or wrinkle. Don’t panic. This might go on for weeks, but it will correct itself once full curing is complete. Don’t apply a thicker layer in an attempt to fix this temporary issue, as it will take even longer to self-correct. One single application is always preferable when working with Liquid Rubber. Additional coats won’t bond as well as the initial coat—and it will bond to the original coat (not the actual surface). You also run the risk of wrinkles. Asphalt is one of the few surfaces that isn't recommended with Liquid Rubber. However, our primer is a great choice for asphalt built-up roofs (BUR) and asphalt coatings. Using this primer does allow you to follow up with Liquid EPDM. Get more information on the primer here. Check out RV Project Photos. Do you keep repairing your RV, camper, trailer, or mobile home year after year? Stop leaks permanently. Liquid Roof can drastically delay aging and stop leaks in their tracks. You can apply the product directly onto existing sealants. RVs and other mobile vehicles naturally collect still water, especially if you live in a wet region. Freezing winters and blistering summers don’t help matters, either. Liquid Roof can protect your investment and ensure that you’re enjoying your mobile abode for many years. Never apply Liquid Roof over cream-colored ALPHA rubber, and instead check with the manufacturer about options. If you enjoy a pond, you probably know it requires some upkeep. We offer PondPro2000 as a special Liquid Rubber just for plant and fish life. It’s completely safe after it’s been fully cured. This product has the same makeup as EPDM, but in liquid form. Have a pond with plenty of crevices, slopes, and other unique shapes? PondPro 2000 conforms to any shape and even self-levels. It’s completely waterproof. Protecting ponds is tough—you’re dealing with outdoor temperatures, living things, and UV damage. PondPro 200 is non-toxic and can be used on ponds, fountains, small pools, and to repair existing leaks. Guide to Prepping:Completely drain the area and cleanse the surface. A high pressure spray is best for cleaning the surface. Treat algae with an approved solution, or a homemade ¼ bleach to water solution. Let the solution set for one hour before rinsing. Ideally, choose a dry season and allow the area to sit for one week before applying. After applying PondPro 2000, allow at least one week for the product to cure, assuming you have a steady temperature of 70° F or higher. This includes nighttime temperatures. Even if you have the time to let the product cure for multiple weeks, repeatedly rinse the area before reintroducing fish or plants. When reintroducing fish, follow routine instructions for welcoming them to a new environment. EPDM Liquid Rubber is a great solution to leaks in concrete, rubber, or plastic. As a fish owner, you know that cracking is common. Quick fixes with tape or caulk don’t last long. However, EPDM Liquid Rubber will last for years. Your fish will be safe, and it’s easy to do. You can apply Liquid Rubber directly onto plywood. Costs are kept low, and it’s a quick solution. Keep in mind that plywood isn’t the strongest roof structure. However, you can easily ensure 100% waterproofing with this method. For a stronger surface, make sure joints are on top of roof trusses. You can also coat the plywood with an oil-based primer the day before applying Liquid Rubber for a more attractive finish. Joints can be sealed with a polyester strip of fabric before applying Liquid Rubber. Soak the strip in Liquid EPDM, put it over the seam, then apply a regular Liquid EPDM coat over the fabric. Liquid Rubber doesn’t require an oil-based primer on most woods, but it certainly helps appearances. Applying Liquid Rubber on wood is very easy, and you may want to thin the Liquid EPDM with one cup of paint thinner per gallon. Remember that primers can be slippery, so tread carefully. 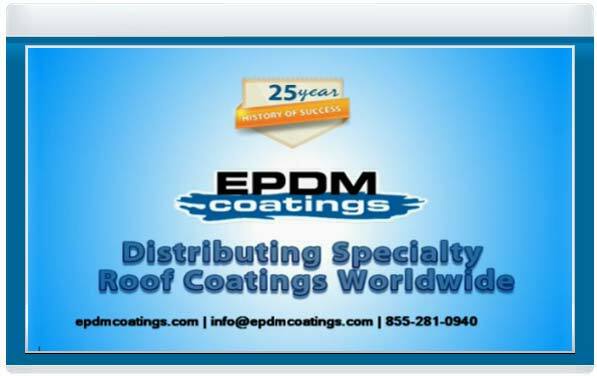 © Copyright 2016 EPDM Coatings LLC. All Rights Reserved.